Tamla/ Motown | Digging in tha crates. 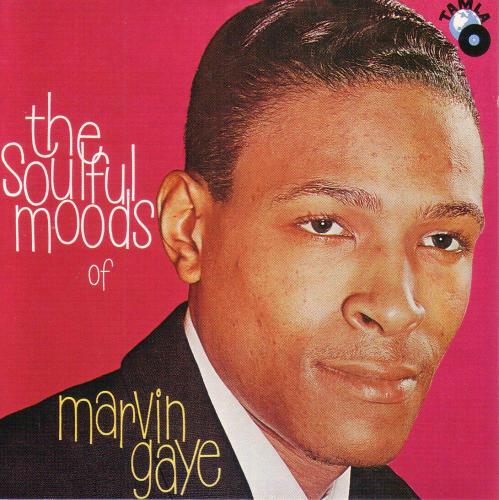 It’s easy deduce without much prior knowledge from listening to the solemn standards album The Soulful Moods of Marvin Gaye that it is a compromise between its star and his label boss Berry Gordy following a rift about creative direction. One would however be hard pressed to believe that the carefully dosed emotions of the clean, sweet tenor heard covering familiar ground on this album belong to the same person who later on in his career passionately sang such classic original songs as Heard It Through the Grapevine and Let’s Get It On, employing a much more passionate gospel-inspired style with rougher edges. Around this time Marvin had a lot of developing to do as far as his artistic identity and signature sound were concerned, but such is the way of the world. It is after all Gaye’s debut and everyone has to start somewhere. Not that it’s a bad record, mind you. This contains some expertly sang saloon jazz, with some rather pleasant arrangements. It also has a pleasant length of approximately half an hour, which may very well be the ideal length for any album as far as this reviewer is concerned. It’s just that it absolutely pales in comparison to Gaye’s career highlights including but not limited to the previously mentioned songs. 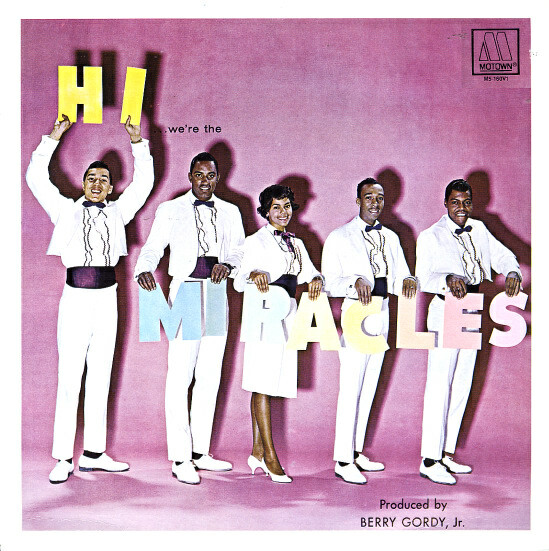 It also makes the Miracles’ debut sound positively amped by comparison. Gaye already had a fledgling career in music prior to introducing himself to Berry Gordy at a Motown christmas party in 1960. Following a stint in the US Airforce he had been a member of Chess Records vocal ensemble Harvey & the New Moonglows which racked up a few hits of their own and sang background for labelmates such as Chuck Berry and Etta James. After impressing Gordy he was transferred from Chess to Motown and would write history, but not right away. The Soulful Moods of Marvin Gaye tanked commercially. This brings us back to the before-mentioned creative argument between Gaye and Gordy: Gordy wanted his new artist to cater to the same R&B audiences Smokey Robinson & the Miracles catered to while Gaye wanted to sing jazz standards like Ray Charles and Nat King Cole did, because he considered jazz to be a more mature form of music than R&B. Gaye ultimately pretty much got his wish for what his debut album was to sound like and Gordy got proven right about the marketability of that type of music at that time. There’s two songs which are new compositions, and they stand out like two sore thumbs on The Soulful Moods of Marvin Gaye, but would’ve slipped seamlessly onto Hi… We’re the Miracles. Recording them was the concession Gaye made to Gordy. The former is the Who’s Lovin’ You-esque Gordy slow jam Let Your Conscience Be Your Guide and the second one is the Shop Around-reboot dance song Never Let You Go (Sha Lu Bop), written by Gordy’s sister who was Gaye’s at the time girlfriend. Both these songs also fail to give Gaye and identity of his own and make him sound like the Miracles in stead of Nat King Cole. In conclusion The Soulful Moods of Marvin Gaye is an unimaginative but competently made lounge jazz album with some decent early Miracles-songs tacked on for good measure. And while there’s nothing wrong with any of that only people who find that description sound appealing, or people interested in Gaye’s artistically humble beginnings, need to bother with this one. This one is for lovers of jazz standards and Marvin Gaye fanatics/ biographers only. Once upon a time in the 1950s there was an African-American Detroit songwriter called Berry Gordy. Gordy had written and produced hit singles for contemporary R&B-artist Jackie Wilson such as the number one on the US R&B-chars Lovely Tears. He felt that he should make more money off the work he put in than he did and decided that the way to go was to produce more recordings of his writings, own the publishing rights of said recordings and start a record label of his own. This he did in the form of indie label Motown Records, named after a nickname of his home town Detroit. The rest is history. Rather than cater to the niche market for African-American R&B music it would take the genre to the mainstream by putting out music that crossed racial barriers. Motown music consistently sold to white music audiences at a time when this was by no means something to be taken for granted by African-American artists. This was no accident. Gordy meticulously groomed his artists to cater to as wide an audience as they possibly could. It in the process Motown launched the careers of some of R&B’s most enduringly iconic names: Marvin Gaye, Diana Ross, Stevie Wonder, Lionel Richie and Michael Jackson are the best remembered examples. Most of the album’s lead vocals were performed by sweet-voiced tenor William “Smokey” Robinson, although Ronnie White and Claudette Robinson managed to get a few leads as well. Robinson and White, along with Gordy, also wrote most of the album. Marv Tauplin (not pictured on the cover) played the guitar and is the only instrumentalist to receive credit for doing anything in the liner notes. The remaining two members: Bobby Rogers and Warren “Pete” More for those asking, sang background. The rest instrumentation was provided by a collective called the Funk Brothers, a band which one effectively became a member by playing any instrument on any Motown Recording. Gordy oversaw this merry bunch as the album’s producer. This album isn’t for everyone. Many of today’s R&B listeners will find this too crude and elementary while simultaneously think of this as too sweet and tame. For grinding against a shawty at a house party this album is unfit. Such is the fate of R&B music from the doo-wop era compared to almost to that followed it. Early sixties-soul however gets no more accessible than this for modern music audiences. The instrumentals are comparatively rich and developed and the vocal performances by Smokey and his fellow Miracles are excellent, emotive and raw and almost devoid the melisma. Another reason to pick this up is that songs like Who’s Lovin’ You and Shop Around have been re-recorded so many times they have become standards. These are the original versions of these songs (That goes for every song on here except Money (I Need It), which was originally recorded by Barett Strong and was the Motown label’s very first single) and generally the best versions available. Hi… We’re the Miracles is by today’s standards a pretty relaxed, meandering record. Even it’s relatively up-tempo songs such as its biggest hit Shop Around are midtempo at most. Its lo-fi quality gives it a certain warmth. If this album were much longer than it is it would probably overstay its welcome because of its backgroundish quality. Given that it clocks at thirty two minutes and spreads that time over twelve tracks and divides those over eleven songs neither the album nor any of its songs stick around for longer than necessary. We have the technological limitations of vinyl to thank for that. This album is as notable for the classic songs contained within it as it is for the music it paved the way for. Despite its simplicity it doesn’t bore, in part because it sounds terrific, in part because the vinyl LP format didn’t allow any of these songs to last much longer than three minutes. In short Hi… We’re the Miracles is short and sweet.